Operation Fit is a program developed by the collaborative efforts of Bronson Battle Creek, Battle Creek Community Foundation, Regional Health Alliance, community agencies, organizations, and the philanthropic community working towards decreasing the rates of childhood obesity in the Battle Creek area. We are looking for volunteers who love and portray healthy, active lifestyles and are interested in being involved throughout local elementary schools by helping motivate students to eat and act their best while having fun. These activities may include: dancing, playing games, running, and other various energizing recreations. The main goals for Operation Fit are to increase physical activity, improve the nutrition and lunchroom environment, and to create supportive environments for all children so they can begin healthy habits early on. -Must be at least 18 years of age. -Elementary schools will run a background check on all applicants. -Must be willing to be energetic and uplifting with/for the children. -Must have a positive mindset. Volunteer 1 or 5 days a week and get some early morning play in! Help us guide this large group of remarkable children in some fun exercise to get them ready to start their school day. Volunteer 1 or 5 days a week, 30 or 90 minutes each day and get some lunchtime play in! 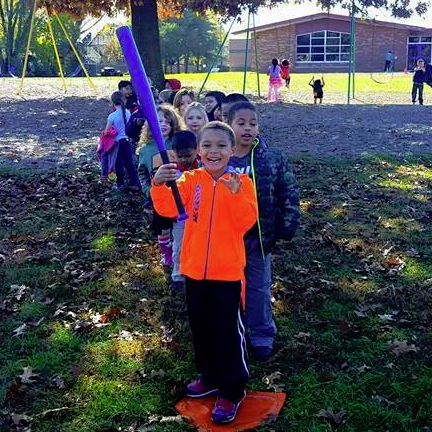 Help these wonderful kids have an active recess full of movement, fun and games. Volunteer 1 or 5 days a week and get some early morning play in! Help us guide this group of remarkable children in some fun exercise to get them ready to start their school day. Log in to see who is volunteering for Operation Fit!